2013-16 600 RMK Single Pipe Kit. 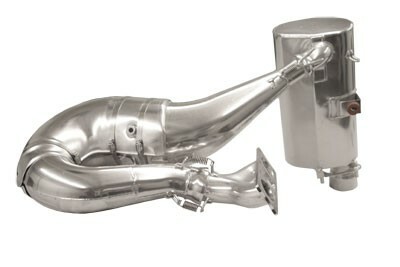 Run with the big dogs with the addition of this new single pipe for the Polaris 600. It delivers an additional 7 horsepower peak, reduces weight by 4.5 lbs. and provides excellent throttle response with much quicker acceleration. Kit includes ceramic coating on the y-pipe, pipe and silencer. SLP Tested and passed SAE J-2567 stationary sound test below 88 decibels. The use of a Power Commander V Fuel Control Box and clutching changes are required. Please inquire or refer to the "Instructions" tab above. Click on the 'Related Items' tab for high temperature silicone sealer required for installation.